Presented by the Lancaster Museum & Public Art Foundation. 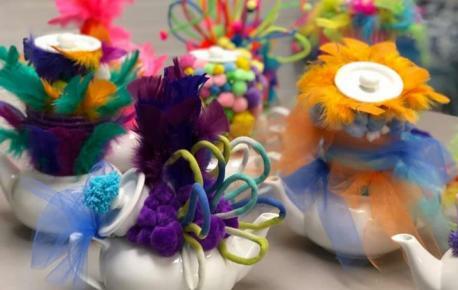 You are cordially invited to celebrate Mother’s Day at the Lancaster Museum of Art and History (MOAH)’s annual Mother’s Day Tea, Fashion Show, and Exhibition Preview on Saturday, May 11 from 11:30 a.m. to 2 p.m. Opening in advance of the Museum’s newest exhibit’s public reception, guests of the Mother’s Day Tea will be treated to a special preview of Woven Stories, a survey of contemporary, narrative fiber artwork and conceptual quilt show. This year’s fashion show will recognize the completion of 10 Nick Cave-inspired Sound Suits, the culmination of a year-long collaboration between Kris Holladay and the students of R. Rex Parris High School and artist-in-residence, Meriel Stern. The event’s guest of honor will be Antelope Valley local documentary filmmaker and community engagement artist, Robin Rosenthal, whose recent project Positively Littlerock, highlighted local residents and their stories through portraiture and the publishing of an interactive narrative-based website. Guests of the Mother’s Day Tea will enjoy a fresh menu catered by The Modern Tea Room, which includes a traditional tea lunch and champagne. Tickets are $45 and can be purchased by calling the Museum at (661) 723-6250 or online at www.lmpaf.org/store. Sponsorship opportunities are also available. All proceeds benefit the Lancaster Museum and Public Art Foundation’s community programs. 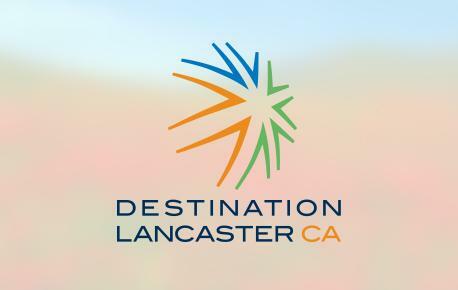 The Lancaster Museum of Art and History is dedicated to strengthening awareness, enhancing accessibility, and igniting the appreciation of art, history, and culture in the Antelope Valley through dynamic exhibitions, innovative educational programs, creative community engagement, and a vibrant collection that celebrates the richness of the region. MOAH is open Tuesday – Sunday, from 11 a.m. to 6 p.m. with extended hours on Thursday until 8 p.m. For more information, visit www.lancastermoah.org or call (661) 723-6250.